Vapor Power has several equipment options available for your waste water treatment application. 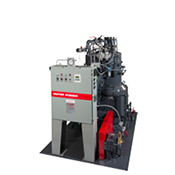 We can provide hot water boilers or high pressure steam generators as a heating source for digester applications and our thermal fluid heaters are utilized in sludge drying applications. 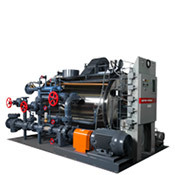 Depending upon the size and design of the digester, an electric hot water boiler can provide process heat. Other digester designs require more BTU’s and high pressure steam which are perfect fits for a Modulatic steam generator. Vapor Power equipment has been utilized at steam pressures in excess of 1000 psig in waste water treatment facilities. 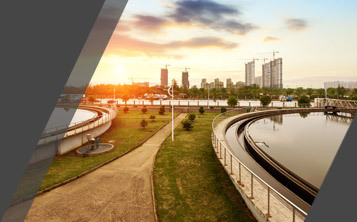 Yet another use for Vapor Power equipment in a waste water treatment plant is a thermal fluid heater for sludge dewatering. Our thermal fluid heaters provide consistent process heat up to 450° F for paddle dryers. Thermal fluid heaters are available in sizes up to 20,000,000 BTU/HR and can be completely skid packaged with the thermal fluid pump and expansion tank.